Naučnici australijske države Queensland uspeli su, posle 20 godina istraživanja, da stvore sortu jabuka, koja zadržava svežinu i sočnost 14 dana, a čuvana u frižideru može da ostane sveža i više meseci. Ova sorta jabuke nosi naziv RS 103-130. Posebno je interesantno da su očuvana svežina i otpornost na bolesti ove sorte jabuke postignute dodatkom gena jedne azijske sorte jabuka, bez genetskih modifikacija. Naučnici ističu da je posebna prednost ove jabuke u tome što će moći da se bere u punoj zrelosti, a ne kao ostale jabuke, koje se beru nedozrele, a dozrevaju u skladištima. Stoga je i ukus ove nove sorte jabuka mnogo bolji. Ova jabuka je belog mesa, srednje teksture, slatko nakisela, sočna sa harmoničnim, blagim ukusom. Aronia (Aronia melanocarpa Michx) – Dominant chokeberry anthocyanins are 3-galactoside cianidin and cianidin 3-arabinoside. 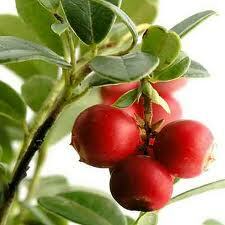 The concentration of flavonols in chokeberry exceed 71 mg / g fresh weight. Flavanones eriodictyol 7-O-β-glucuronide along with rare flavonol quercetin 3-vicianosidom and quercetin 3-robinobiosidom quercetin glycosides and other proven in chokeberry Slimestad research associates and the 2005th. Avocado (Persea americana Mill) – Avocado is a tropical fruit, rich in polyphenolic compounds such as: brown, hlorogenska, coumarin acid, catechin, epicatechin. 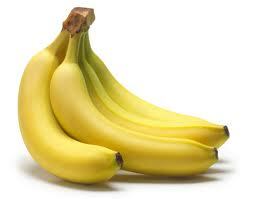 Banana (Musa acuminata) – This fruit proved the presence of tannin, gallic acid, catechin, anthocyanins-3-rutinoside, cianidin-3-rutinoside, petunidin-3-rutinoside, pelargonidin-3-rutinoside, peonidin-3-rutinoside and malvidin-3-rutinoside. 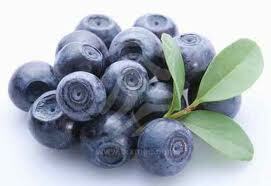 Bilberry (Vaccinium myrtillus L) – Blueberries are rich in anthocyanins, whose amount varies from 300-600 mg/100g. Effect on improving the nutritional value of foods by preventing oxidation of lipids and proteins of food products. Cranberry (Vaccinium macrocarpa L) – Cranberries are anthocyans: cianidin-3-gala tozid, cianidin-3-glucozid and cianidin-3-arabinoside. Fresh cranberries, juice, frozen or dried as a natural antibiotic. 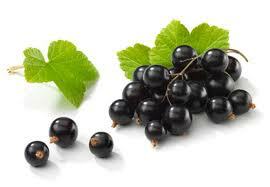 Black currant (Ribes nigrum L.) – Black currant contains 1.253 to 6.166 mg / g total anthocyanins. Proven pigments are Delphinidin-glucozid, Delphinidin-rutinosid, cianidin-glucozid, cianidin-rutinoside. 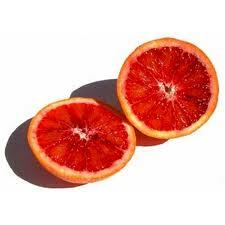 Blood orange (Citrus sinensis L.) – The species of the genus Citrus Flavanones characteristic polyphenols, primarily hesperetin and naringinenin in the form of glycosides. 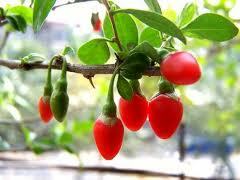 Goji (Lycium barbarum L) – Goji contains bioflavonoids, anthocyanins, lutein. The presence of these components and their relationship led to the fruit on top of the ORAC scale (Oxygen Radical Absorbance Capacity – Scale, which measures the antioxidant capacity or antioxidant value of foods). According to this scale goji berries have 25 300 units, and these first fruits, which are normally considered a strong antioxidant, pomegranate is the „only“ 12 500 units. 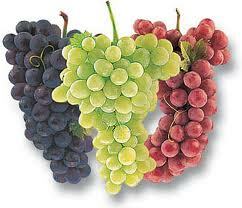 Grapes (Vitis vinifera L) – varieties of grapes are a rich source of flavonoids, polyphenols, 70% is located in the seed, and about 30% in the skin. Polyphenols have been identified in the cluster: flavan-3-ols (catechin and epicatechin), procijanidini, tannins, flavonols (quercetin, myricetin), antocijanidini. The content of anthocyanins in grapes varies from 12 to 30 mg / g.
Guava (Psidium guajava L) – polyphenolic compounds of guava are sumorin-3-O-liksozid, morin-3-O-arabinoside, quercetin, quercetin-3-O-arabinoside, leukoantocijanidin, ellagic acid. Kiwifruit (Actinidia deliciosa A. Chev.) 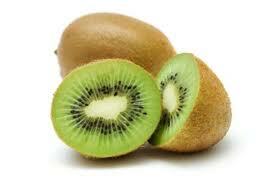 – The results showed that the predominant phenolic compound kiwi hidroksicimetna acid, flavonols and flavan 3-ol epicatechin. Blackberry (Rubus fruticosus agg.) 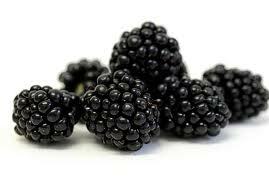 – The blackberry extract proved the following anthocyanins: cijanidin-3-glucoside, cijanidin-3-galactoside, cijanidin-3-arabinose, pelargonidin-3-glucoside; cijanidin-3-ksiluloza; malvidin-3- glucoside. Cijanidin-3-glucoside is the dominant pigment in berries. Longan (Euphoria longan Lamk) – Longan is an exotic fruit, which contains polyphenolic compounds. Dominant polyphenolic compounds were: gallic and ellagic acid and elagintanin. Raspberry ( Rubus idaeus L) – Malina is a highly valuable nutritionally because of the rich content of various antioxidants. The antioxidant activity of raspberries is 50% higher antioxidant activity than strawberries, 10 times higher than the tomatoes and 3 times higher than the kiwi. About 25% belongs to the polyphenol antioxidant activity such as quercetin, kaempferol, cijanidin-3-glukozilrutinozid, cijanidin-3-rutinoside and pelargonidin glycoside. 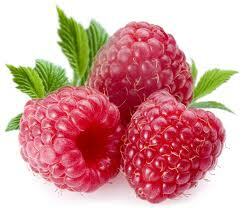 These compounds give intense red raspberry. Mangosteen (Garcinia mangostana L) – This fruit is referred to as medicinal fruit of the gods. 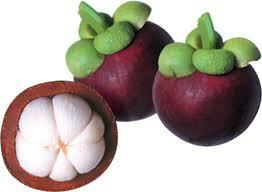 Mangosteen contains a large group of xanthones, flavonoids with strong antioxidant activity. 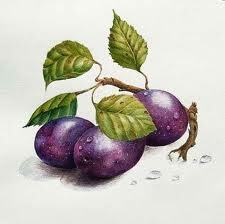 Of the 200 known xanthones nearly 50 are found in mangosteen. 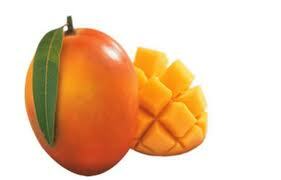 The main fruit of this xanthones are alpha-, beta-, gamma-and beta-methoxy-mangostin. Quantitative dominantain alpha-mangostin. Mangosteen contains, in addition to xanthones and anthocyanins, stilbene and tannins. The concentration of total anthocyanins in the mangosteen is 25.9 to 63.9 mg/100g. 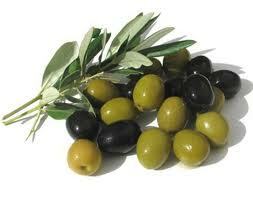 Olive (Olea europaea) – Olives contain polyphenols hydroxytyrosol and sip a tea acid. HPLC in olive oil was confirmed in the presence of low concentrations hidrokisitirozila, tirozila, lignans. GC-MS method proved the presence of vanilla acid, p-hidrokisbenzojeve, p-coumarin, o-coumarin acid. Pomegranate (Punica granatum L) – Contains elagintanin 3,3 ‘-di-O-metilelaginsku acid, 3,3′, 4′-tri-O – metilelaginsku acid phenethyl-rutinoside. 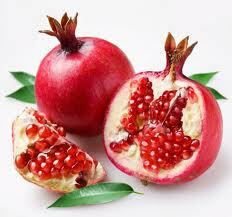 New dimerik gallic acid, named after humarain, was isolated from the stem bark of pomegranate. 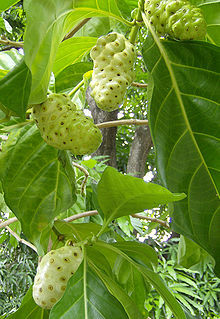 Noni (Morinda citrifolia L ) – The fruit of the noni fruit belongs to a group of 80 medicinal plants, which are today considered the most effective medicinal plant group on the planet. 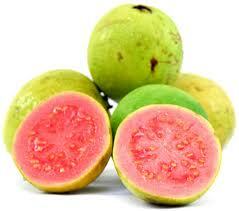 This tropical fruits contain bioflavonoids catechin and epicatechin-, tannins. 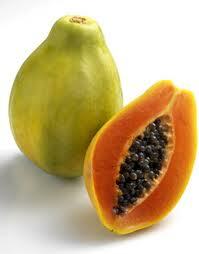 Papaya (Carica papaya L) – Papaya contains myrcene, ocimen, phellandrene, terpinene, a dried leaf 0.25 mg / g tea acids, 0.33 mg / g p-kuumarinske acid and 0.11 mg / g protokatehinske kiselinue. 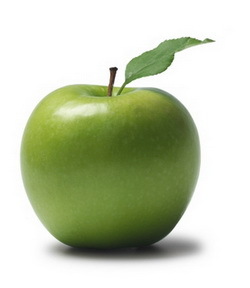 The concentration of quercetin was kempferola and 0.04 mg / g.
Plum (Prunus domestica L) – Color plum fruit epidermis may be the green-yellow through red and blue, different shades of blue to blue-violet. Shades of blue, red and blue colors and plavoljubičaste are conditioned by the type and amount of anthocyanins . Today is one of the goals of breeding to create new varieties of plums with dark fruit epidermis. Plums contain different varieties cijanidin-3-glucoside and cijanidin-3-rutinoside, peonidin-3-glucoside and peonidin-3-rutinoside. Cevallos-Casals et al., (2002) found that the content of anthocyanins in the fruit selection of 13 plums ranged from 44.1 to 231.29 mg / 100 g mezokarpa fresh, calculated on cijanidin-3-glucoside. 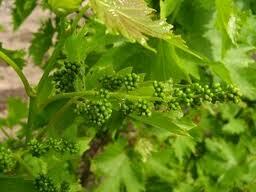 The grapevine leaf (Vitis vinifera L) – vine leaves can be considered a good source of polyphenolic compounds . The research results confirm that the extracts of leaves and vines extremely rich phenolic compounds. 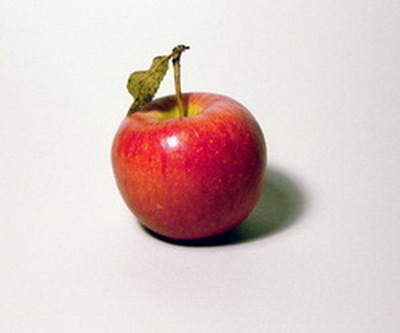 HPLC analysis showed the presence of flavonoid and stilbene. Among the polyphenols from the group identified as stilbene resveratrol monomers (cis-and trans-resveratrol) and resveratrol derivatives (astringin and piceid / isorhapontin). 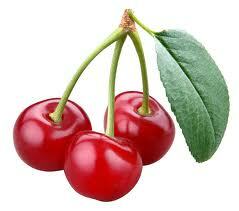 Cherry (Prunus cerasus L) – Cherries are a rich source of atocijana. 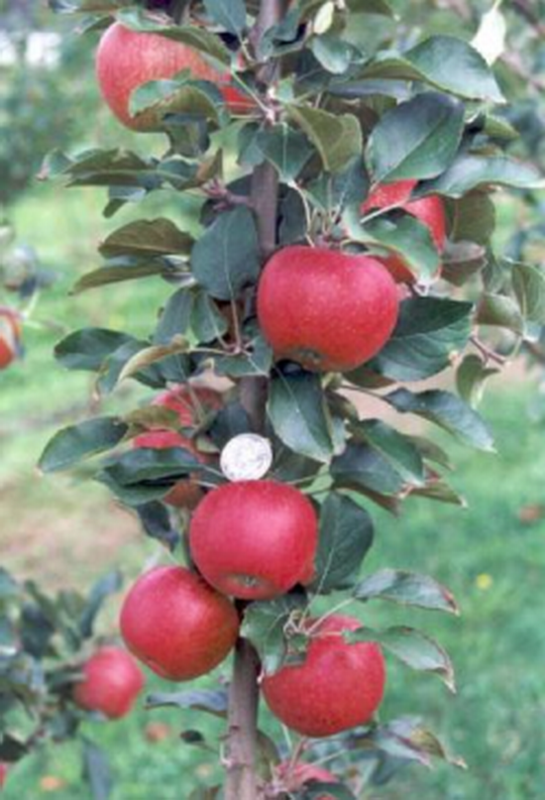 The concentration of these pigments depends on the variety, cultivation methods, climate, climate and other factors.